Lexus International will open the first Intersect By Lexus luxury brand experience space in Tokyo's Aoyama district on August 30, 2013 as part of its Amazing In Motion endeavors. behind a steering wheel. 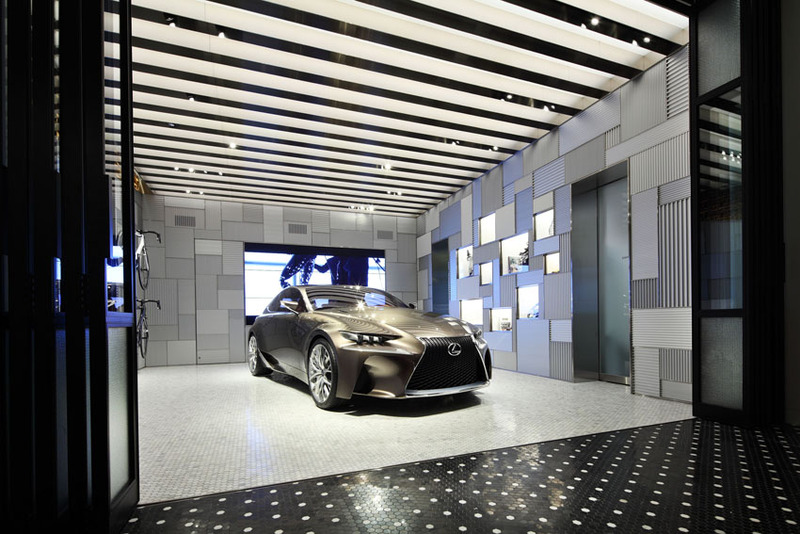 Neither a dealership, nor a traditional retail space, guests are able to engage with Lexus through design, art, fashion, culture, film, music and technology. The first floor of Intersect By Lexus - Tokyo features a cafe, serving world renowned coffee, and the Garage, an exhibition space for car culture and lifestyles. On the second floor are the Crafted For Lexus shop, featuring a collection of lifestyle items produced by brand companies that harmonize with Lexus' philosophies, and a library lounge serving modern-Tokyo-themed foods. "Intersect By Lexus seeks to be a comfortable and inspiring space for interaction among people and between people and cars," said Mark Templin, Executive Vice-President of Lexus International. "These spaces will evolve as people gather and make connections. Not just a car company's space, rather a place for everyone to treat as their own unique place." Intersect By Lexus will be hosting Lexus brand workshops and exhibitions in these space.